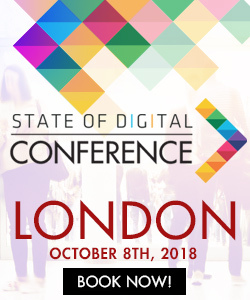 Digital marketing as an industry is growing by the day, with more and more companies allocating larger proportions of their budgets to online over conventional marketing. Due to this ongoing growth, the number of graduate and entry-level positions being filled is also increasing rapidly. Lots of great educational resources have been introduced and developed over the last few years to help train these amateurs / juniors and develop their understanding of different digital marketing principles.Here are some of the resources that I think are ideal for learning about the different disciplines of digital marketing. 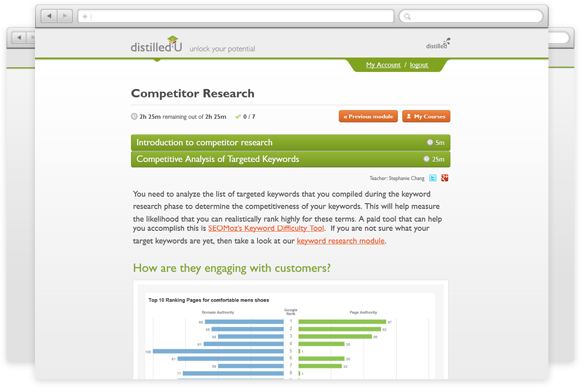 DistilledU is an online SEO training resource, which provides comprehensive guidance on a wide range of SEO topics. I recently purchased DistilledU for our team and have had really positive feedback on the modules that members of our team have completed so far. In addition to the content within the modules, you now also get access to all of the Distilled conference videos as part of the membership, which makes it even more valuable. Cost: DistilledU is really cost effective in my opinion at just $40 per month. There’s also a 25% discount available for SEOmoz Pro users. I’ve not actually used ClickZ’s training academy, however it’s been recommended to me by a lot of people. ClickZ Academy covers a number of different areas of digital marketing and have specific courses for SEO, web analytics, lead-gen, PPC, email marketing, usability, online PR, content strategy, social media marketing, mobile marketing and local SEO. MarketMotive are an online marketing course provider who offer online courses (subscription-based) and coached courses. Topics covered by MarketMotive include web analytics, SEO, social media, online PR, PPC and social media. The Google Analytics exam is a great resource for digital marketers of any level, as in addition to certifying your understanding of Google Analytics, you can also learn a lot from the course material. Like the Google Analytics certification, the PPC certification (which I haven’t actually done yet) is a great resource for learning about PPC and proving your ability to manage PPC campaigns. The Point Blank SEO link building course has had brilliant feedback from industry experts and is designed to cover all of the major elements of link building in detail. This course is a very affordable resource and costs just $67 (one off payment). There are lots of courses available for people who prefer learning in an offline environment or are looking to achieve a more formal qualification. All of the following courses are specifically focused on digital marketing. I know a number of people who have completed the Econsultancy postgraduate course and they’ve all been very positive about it. I’ve also read through the course documents from a couple of the modules and the content and coursework topics are really good. The State of Search team will soon start providing specialist training courses on the fundamental areas of SEO and social media marketing. Although these courses haven’t been introduced yet, I can guarantee that they will be a brilliant training option for agency and in-house teams. Joe Williams, who is the founder of SEO Training, runs regular SEO and PPC training sessions for in-house and agency professionals. I’ve heard great things about these workshop sessions and he’s trained people from companies such as Harrods and AOL. The international SEO school provides specialist three day training sessions on the fundamentals of international SEO, PPC and social search. These courses feature some of the biggest names in the industry, such as Andy Atkins Kruger and Bas van den Beld. Although I don’t have direct experience with the digital marketing courses, I did complete a CIM (traditional marketing) course a few years ago, which was really valuable. These courses focus on the key elements of online marketing, such as email marketing, SEO & PPC, social media, affiliate marketing and analytics. There are various options available, ranging from three day sessions to full year courses. These courses are quite expensive (just under £2,000), but they do give you a recognised qualification at the end of it. The CIPR are becoming a lot more in tune with digital marketing and began running CPD valid one-day courses a while back. These certified courses have a great reputation with conventional marketing professionals and are said to be one of the best long-term training options for digital marketing. Topics covered within these courses include SEO, PPC, email marketing, online PR, affiliate marketing and social media. 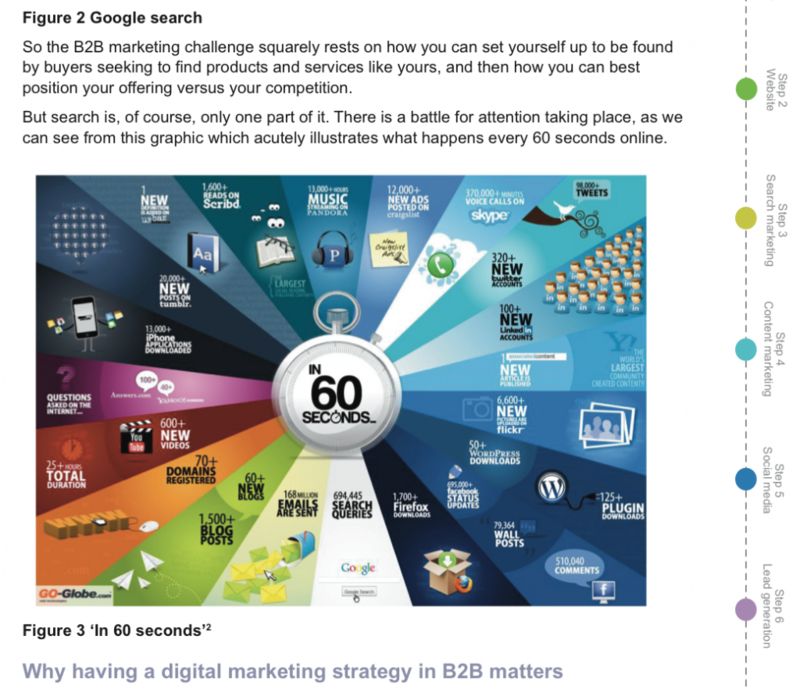 Econsultancy’s reports are a great resource for digital marketers as there are lots of guides, industry reports and data / statistics available. These reports also span across a wide range of different topics. Smart Insights, which is ran by Dr Dave Chaffey, offers a wide range of great ebooks and reports focused on a host of different topics. Smart Insights, which is a paid subscription, is a bargain in my opinion at only £247 per year. The reports available span across a wide range of ecommerce and digital marketing principles and are written by industry experts. The beginners guide to SEO, which was published on SEOmoz, is one of best introductory resources for SEO in my opinion and it’s one of the first things I give to our new SEO’s when they join the company. 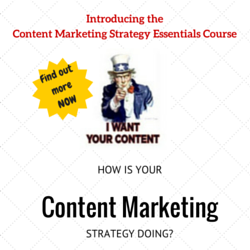 This guide is thousands of words long but is formatted in a very digestible way. 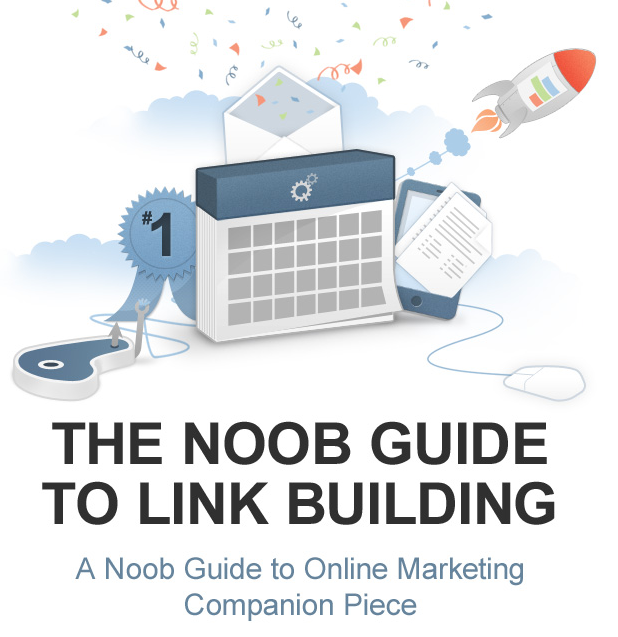 The noob’s guide to link building provides comprehensive information about all things link building, delivering guidance on lots of link building tactics and outlining potential strategies to follow. This guide is a brilliant resource for people who are inexperienced in the art of link building. This resource, which was created by Neil Patel and Sujan Patel, was published very recently and provides digestible insight into a number of essential parts of SEO, including indexation / accessibility, content-driven link building and keyword research. Stephen Pavlovich’s guide to Conversion rate optimisation (CRO), which was published on the SEOmoz blog, is a great introduction to CRO. This article covers lots of areas of CRO and also outlines what it is and why it’s important. The article also features lots of great tool recommendations and tips for gaining insight into how your visitors are interacting with your website. This guide to link building strategies is way more than just a long article, it’s a full list of tactics which can be filtered by complexity, time required, vertical and more. This guide is ideal for those just getting into SEO / link building and is a great resource for coming back to for ideas. This article is a great resource for anyone looking to get buy-in from clients or potential bloggers, as it covers just about everything related to blogging, such as setting up a blog, getting started with blogging, examples of good blogs and why people blog. This piece of content is thousands of words long and covers all of the angles that need to be considered when producing or planning linkbait. This resource is useful for SEO’s of all levels. This guide, which is focused on maximising the value of video content for SEO, is a great resource for anyone who’s working with video content on a regular basis. This guide is a hugely useful resource for anyone looking to work with SEO-focused data in excel, as it provides a digestible introduction to pulling and analyzing data in spreadsheets. This comprehensive guide to using analytics from Avinash is a great resource for people looking to develop their understanding of goals, metrics, KPIs, dimensions and targets. This article is perfect for people who are new to analytics as it outlines the importance of certain data sets and specific reports in Google Analytics. The Moz top 10 email newsletter is sent out on a bi-monthly basis and features what they consider to be the 10 best articles within the past two weeks. They often feature some great articles that I’ve missed and I’d strongly recommend signing up to this. SearchCap from Search Engine Land provides you with a daily update of the best content in online marketing and SEO. Inbound.org is an ‘inbound marketing’ community that features great content which is chosen by it’s members. Inbound.org is growing by the day and is starting to get a lot more community-style contributions. Fantastic resource list, Paul! This is extremely useful for anyone wishing to learn digital marketing, especially small businesses just starting out with digital marketing. One of the most frequent questions I get from our customers, who are often busy small businesses owners, is how they even begin to tackle a digital marketing strategy – they wanted a simple to follow guide on how they could leverage digital marketing on small budgets. “The Essential List of 31 Digital Marketing Tactics for Small Businesses” by Kristi Hines is a superb resource http://appinstitute.com/essential-digital-marketing-tactics/. Please share your feedback, would love to hear what you think!